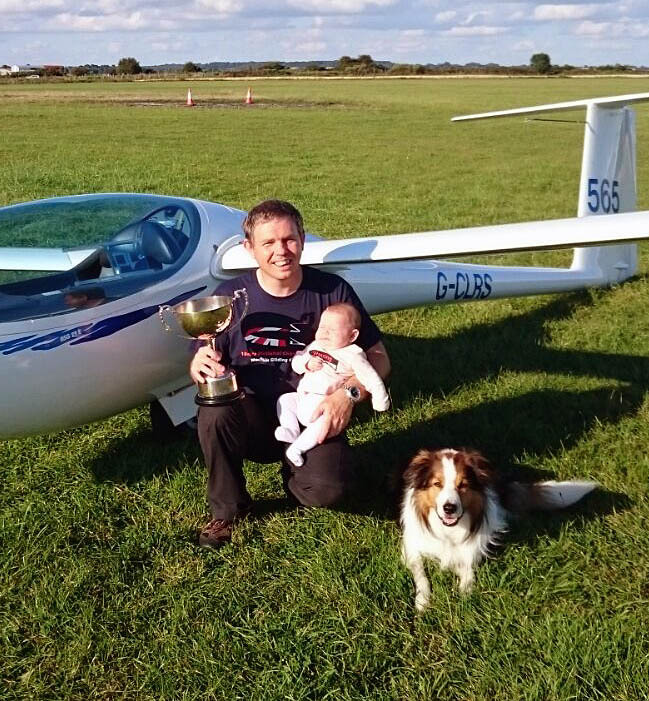 A great success at the UK Nationals 2016: Brian Birlison wins the 18m class at the competition in Tibenham for the first time. Another four ASG 29 pilots were in the top ten. Brian Birlison has been flying gliders since he was 13 years old, and has been instructing others to learn to fly since he was 20.Brian flies at the Cotswold Gliding Club and shares his ASG 29 E with his father and their syndicate partner. This mix of pilots means that they need a glider that can accommodate larger and smaller pilots, that is also straight forward to fly but still competitive at National un-handicapped competitions for which the ASG29 certainly fits the bill. He started flying annual national competitions in the British Junior Nationals age 18. Like most glider pilots, Brian doesn’t always achieve as much gliding as he would like – work and weather in the UK seem to conspire against even the most dedicated pilot! He competes annually in different classes of UK National competition (15, 18 & 20m recently) usually being placed in the top ten or fifteen. Some would feel that having a new-born baby might result in a year off competing but they both saw it as a challenge to carry on and so the cars were packed for two weeks away in Tibenham when Florence was just 9 weeks old. It appears that Florence is his good luck charm as this year Brian went on to fly against the country’s top pilots to beat them all. He is now the UK 18m National Champion (despite a little sleep deprivation!). This is a huge achievement for Brian, as there were at least a couple of world champion pilots flying in the same competition.